The Big Idea: Reading books provides special moments to talk, read, and sing together, and learn something new. Settling into a book—any book—together can be one of the coziest, most comforting experiences grown-ups can share with a child. Books give you the opportunity to talk, read, and sing together! As you read the book aloud, help children get excited about the book by talking about the cover together. (“Who’s that? 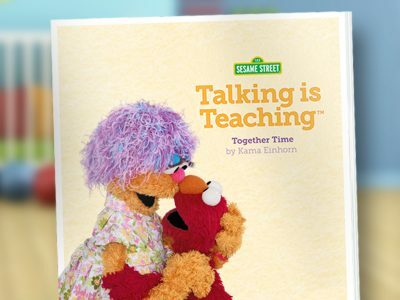 It’s Elmo!”) Talk about the pictures and enjoy reading the words together. This kind of interactive reading helps build a love of books.